Great news! 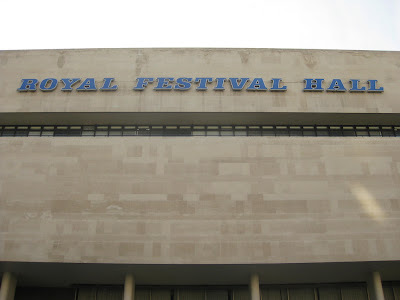 On Fridays until March, the Royal Festival Hall will be running weekly free concerts at lunchtime, in case you feel like getting out of the office and watching some music. The Friday Lunch series showcases a range of musical styles, with an focus on small-scale classical and contemporary music, and today's concert features Skip 'Little Axe' McDonald. Born in Ohio in 1949, 'Little Axe' is an American blues musician, who is today playing a special acoustic duo set in advance of his new Realworld album release. In other weeks you can catch a diverse range of acts, often featuring students from music colleges or in association with Southbank Centre's Resident Orchestras. The concerts also feature jazz, folk, and non-Western music. So take some time out and enjoy some great music in interesting surroundings.